Can you roll your tongue? If so, you’re part of the majority. Between 65 and 81 percent of people on Earth have this strange and seemingly arbitrary talent. But why can some do it while others can’t? The most common answer, the one often taught in elementary schools and museums, is that it’s all about genetics. 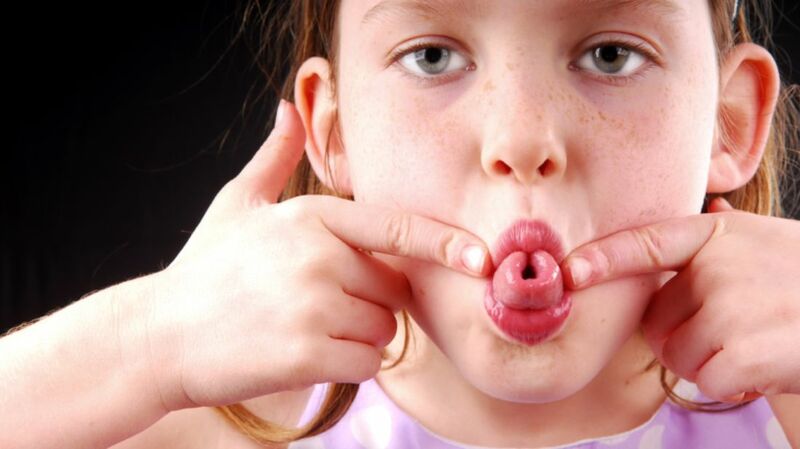 The story goes that, if you inherited a dominant variation of the “tongue rolling gene” from one of your parents, you too will inherit this party trick. In other words, if you can’t do it, blame mom and dad. The truth is a bit more complicated. McDonald says that in some cases, the environment plays a part. It's “nature vs. nurture” in action—many people can break genetic bounds and teach themselves the sacred art of tongue rolling. In other cases, it could just come down to a developmental quirk, like your position in the womb, he says. Tongue-rolling isn’t the only genetic trait we’ve oversimplified. Here, a few other examples McDonald says he's debunked. The myth: Whether you put your left thumb on top or your right thumb on top when you clasp your hands is determined by a single gene. The reality: Even identical twins have different preferences for how to clasp their hands, indicating that there isn’t a “left thumb on top” gene. The myth: Blue eyes are determined by a single recessive gene. A brown-eyed kid cannot have two blue-eyed parents. The myth: Red hair is determined by a single gene that yields to other colors. Two red-headed parents cannot have a non-red-haired kid. The reality: There are many variations in the gene that controls red hair pigment, and this gene can be influenced strongly by genes that control brown hair. Indeed, two parents with red hair can have kids with brown or blonde hair. The myth: Everyone has one of two kinds of earlobes: attached (connecting directly to the side of the head) or unattached (a slight separation causing the lobe to dangle). A single gene decides the fate of your earlobes. The reality: Our earlobes don’t fall into two categories. Instead, there’s a sliding scale between attached and free. Two of the early studies on attached versus unattached earlobes disagreed on which was the dominant trait, showing that the genetics involved aren't as simple as many have been taught. The reality: There can be no clear-cut definition of a hitchhiker’s thumb because thumb flexibility ranges dramatically from person to person. “It’s completely arbitrary where you draw the line between straight and angled,” McDonald says. Parents with bent thumbs can produce kids with straight thumbs.